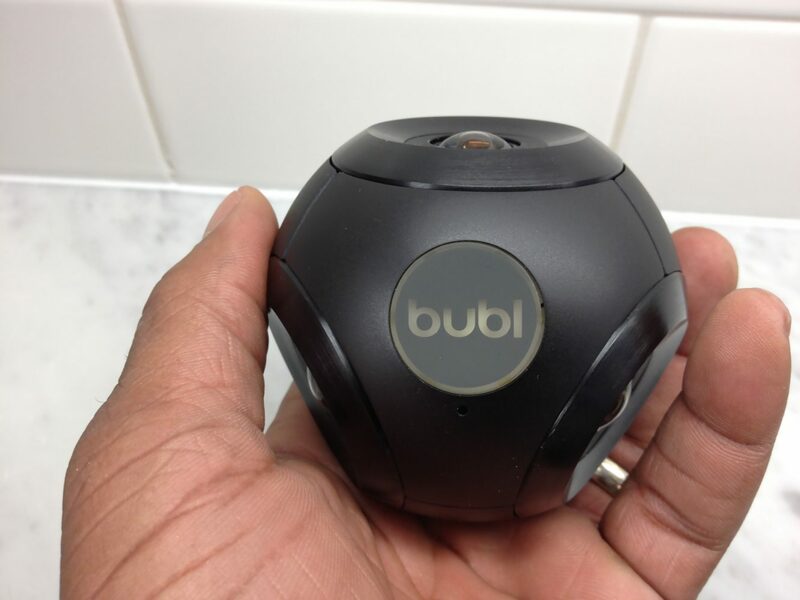 Home » Premium Cameras » Bublcam Review – Is this the best 360° camera yet? 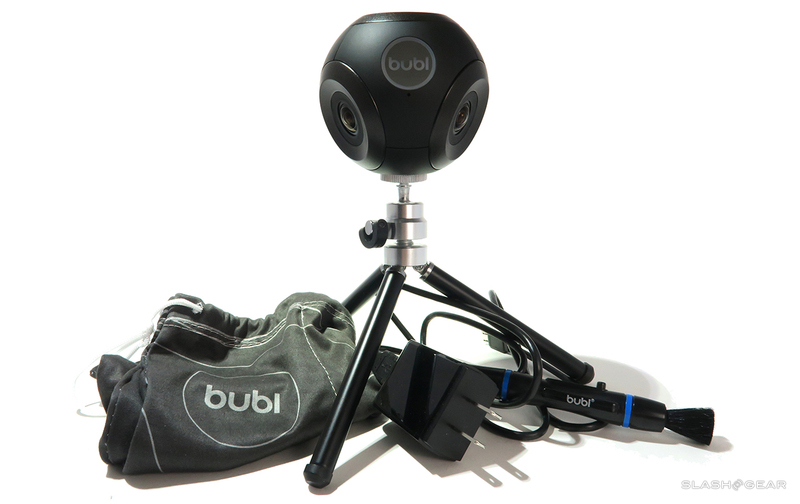 The Bublcam is a spherical 360° camera designed to be simple to use with high quality results. Its 4 cameras are positioned to create fully spherical images and video, fully compatible with VR headsets and the 360° format on social media. The Bublcam keeps most of its promises, it is very simple to use, made of high quality material and can produce some really amazing imagery. However, like a lot of 360° cameras on the market, video quality has a long way to come – but is it still a cut above the rest? Keep reading this review to find out. The Bublecam is designed with ease of use in mind, it only has a few controls (power button, video/image mode) but the ones that are there are simple to understand. Most of the controlling is actually done through an app ,so there is no need to worry about shutters, dials or the dozens of other buttons you usually find on high end digital cameras. The device is powered by a non removable battery that takes two hours to charge from empty to full. How long the battery will last depends on what you use the camera for; video will eat up power much faster than still images. In any case don’t expect the camera to last a full day with heavy usage. There is a microSD slot that can store up to 32 GB, which is good because the internal storage of the camera is near zero. In case you don’t fancy carrying an expensive bit of kit in your pocket all day, the Bublcam also comes with a carry case and more importantly, a mini tripod! The tripod is sturdy enough to keep the camera still and balanced and can be stored away in a separate compartment in the carry case. 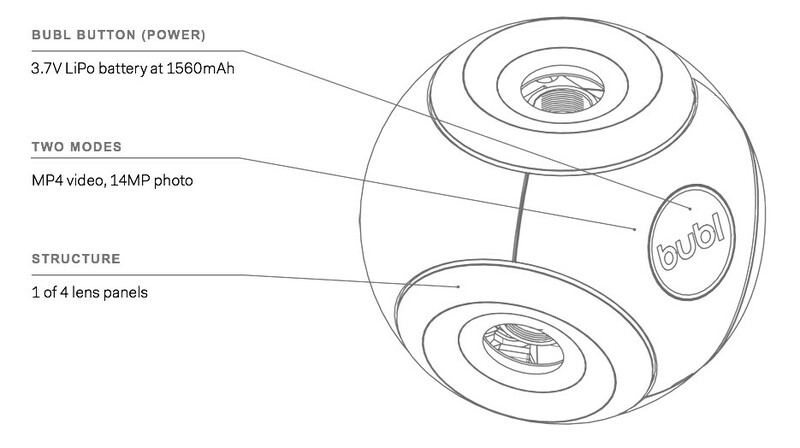 The Bublecam is made up of 4 separate 5 megapixel cameras, each with a 1.2mm lens. These cameras work in tandem to create a 14 megapixel 360° image which is fully spherical – this means there are n blind spots or missing areas, the camra will capture the entire world around it. Here is an example of a 360° photo taken with a Bublcam. This image was taken a top a large hill in Hong Kong and shows off fully the capabilities of the camera. Whilst the lighting in the image could be better, the output from the Bublcam is still highly impressive. These types of images will become even more immersive when viewed using one of the VR headsets due to be released this year. Here is another example of a 360° Bublcam photo, this time taken in a scenic coastal region of Portugal. I’m sure you’re beginning to understand the impact these types of photo’s have, they provide an immersive experience unrivalled by any normal camera. I should also point out that these photo’s are stitched together inside the camera, so no work is required from you other than setting up the Bublcam and pressing the shutter. Compared to other cameras the Bublcam provides some of the best 360° images I’ve seen, but there are other cameras out there that are significantly cheaper than also take great quality 360° images. One of the most exciting aspects of 360° cameras is the video, the ability to film the whole world around us simultaneously. 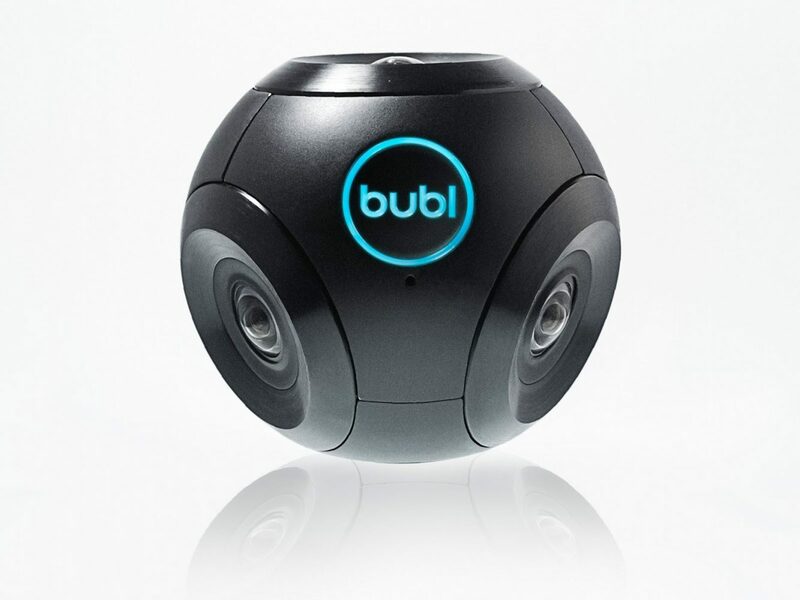 The Bublcam is able to shoot video in two output sizes 1440p at 15fps or 1080p at 30fps. Unfortunately neither of these are high quality enough to provide a HD experience. Whilst there sizes would be suitable for HD video in normal camera, you’ve got to remember that in a 360 camera the image has to be stretched out over 4x as much space. The 1440p video setting provides decent image brightness and clarity, however the very low frame-rate of 15fps means that any movement is not smooth and looks rather ugly. Using the other setting, the image is quite poor quality, but movement is smoother. As you can see the quality of these videos aren’t great, certainly not what we’ve come to expect from expensive cameras. 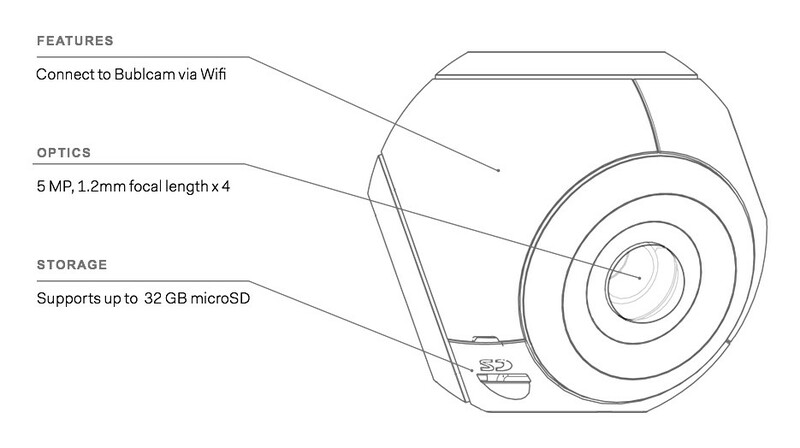 The again, almost all 360° cameras suffer from a lack of quality due to the huge images they have to capture. The issue is only made worse when sharing 360° videos on YouTube, once you do the quality is reduced even more. The best use of the Bublcam’s video can be found in the time-lapse feature which actually works really well. Here is an example of the time-lapse feature using 360° video. Pretty cool, right? But this will still suffer from the same loss in quality if uploaded to YouTube. You can see more examples of Bublcam footage and images on Bubl Cloud Network. The Bublecam’s video quality, whilst not suitable for video sharing or use on VR headsets, is still great fun and good enough quality to really impress people who haven’t seen this technology yet (almost everyone!). Even bad quality 360° videos are getting millions of views on YouTube. Audio quality on the Bublcam’s video isn’t crystal clear and sounds from a distance will be slightly distorted, but if you are close enough to the camera then your voice will be heard. I’m hoping to see wireless microphones that are compatible with these camera’s to come out soon, or at least camera’s with more than 1 microphone with the ability to capture 360° audio. There is plenty to love about the Bublcam. It looks great, is really easy to use, has a great app that works, creates stunning 360° images. 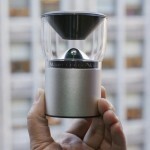 What lets it down is the video, which is still better than all other 360° camera under $1000. 360° video requires an output of at least 2048 x 1080 at 30fps to look decent, unfortunately the Bublcam only manages 1440 x 1440 at 30fps which results is lower than HD quality. There is hope that software updates may improve the video situation, but there is a limit to what cam be done. If you want to get ahead of the game and be a pioneer of 360° technology then the Bublcam is a great option; if you’re willing to fork out a hefty $799 that is. There are other cameras out there that are significantly cheaper than also take great quality 360° images What are the other cameras similar to the Bublcam do you recommend? Bought one of these last year – was totally unimpressed with the photo quality and the video quality was laughable. Left it in a box for a couple months and now it won’t boot. I’m a gadget freak and have been disappointed often in the past, right now it’s a toss up between this camera ad the OnagoFly drone (totaly turd), and the premium price tag coupled with the lack of useful support makes this the winner. I have a Panono 360 camera that beats the living s#it out of this but costs nearly double and has no video and my Ricoh Theta S makes the Bubl look like an old Instamatic.